This is a quick beginner's guide to building a Cygnar army. Miniatures are expensive, and the game is quite complex. This little guide should put you on the right track, and help you spend your money on the right things! The battle boxes are great value for money, and a good place to learn the basics of the game. The rules are quite complex, and if you are not yet sure that Cygnar or WARMACHINE are what you want to do, it's a relatively small investment. Those tiny 3-6 model battlebox games actually encompass most of how the full game works, so you do get a pretty good idea about what WARMACHINE is all about from playing them. That's what it's all about! Buying a ton of miniatures for a game you don't enjoy is a pretty expensive mistake. Check if you think WARMACHINE is the game for you! If there are some Press Gangers (official Privateer Press representatives) in the area, check if any could run a Journeyman League. Such leagues are a great way to build up a collection in small increments. I have done this twice myself, once for Cygnar and once for Trollbloods, and it was a very inspiring and great fun. 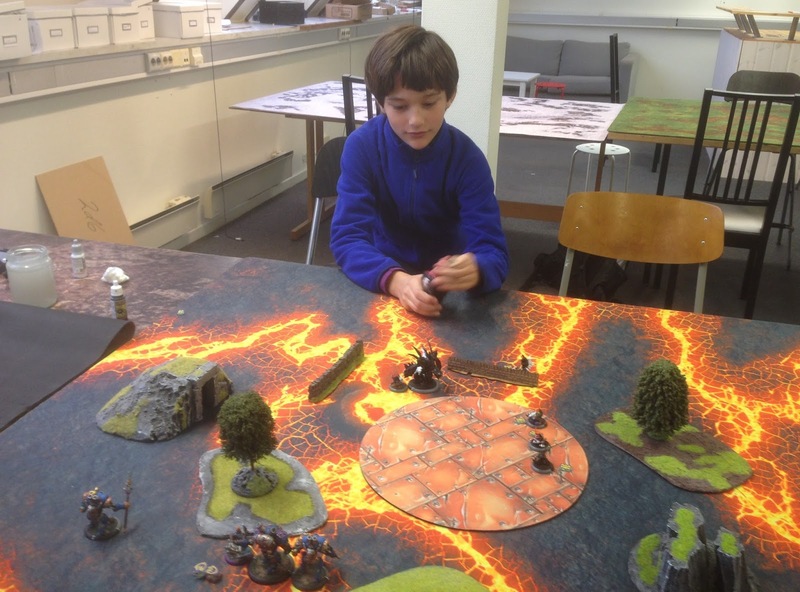 As in any miniature game, there are models that are generally more useful than other models. In WARMACHINE, unlike many other miniatures games, you will probably end up having many more minatures than you need for playing one single army, and a lot of the fun of the game is finding new and exciting army combinations. These are some of the staple models that tend to find their way into most armies. You already should have Maddox, an Ironclad, Lancer and Firefly from the battle box so I have not included them here. 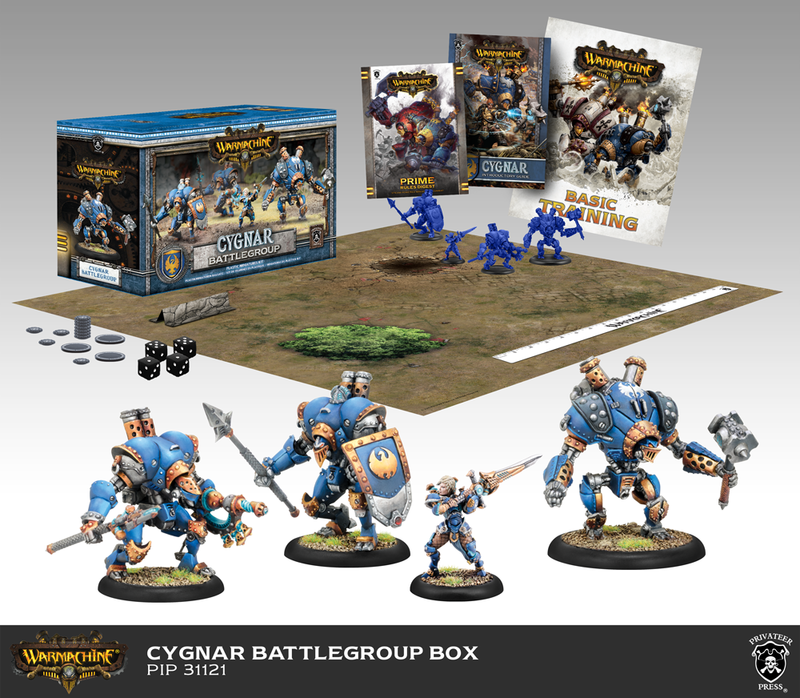 There are many ways to build in WARMACHINE, and Cygnar is a combined arms type of army so you can do pretty much anything. Instead of just listing all the best models, I have made a small list of core models that you should get no matter what, and then some good models for building that army in various directions. These are models that can have a place in almost any army, and with almost any caster. Junior Warcaster - Our best solo. It allows you to give another model extra armor, which is a fantastic buff. Trenchers - Very solid and flexible unit that is hard to remove. Storm Lances - Arguably the best cavalry in the game, they need no support and hit like, well, warhorses covered in heavy armor! Stormwall - The Cygnar colossal is great both at range and in melee, and works with pretty much all our casters. It's expensive, and does not combine well with Trenchers. So in the beginning you should probably get either Stormwall or Trenchers. If you enjoyed punching people with your Ironclad, and want more heavy hitters, these are some of the models that play that game well. Commander Coleman Stryker (Stryker1) - The Strykers all play a mean melee game, but this version is the easiest to play. 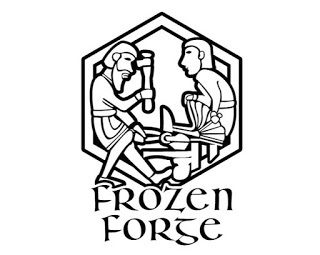 Arlan Strangewayes - If you want to play with lots of jacks, then Arlan can repair them and give them free focus. Centurion or Stormclad - Two of our punchiest heavies. Lanyssa Ryssyl - Allows you to charge further. Ragman - Increases the damage on any units nearby. Rhupert Carvolo - If you are playing with infantry or cavalry, Rhupert can make them tougher, harder to hit, or allow them to go through rough terrain with no penalty. Cygnar has a very strong ranged game and can build an excellent gunline. Captain Allister Caine (Caine2) or Captain Kara Sloan - Some of our very best casters. I have written an extensive guide about playing Caine. Charger or Hunter - Light jacks that shoot very hard. Defender - A heavy jack that shoots hard, but also has a decent punch in melee. Gun Mage Captain Adept - Toolbox solo that is good at removing key enemy models. Rangers - Make all your units more accurate. The Haleys are strong control Warcasters - much of their strength lies in manipulating and hindering the enemy. 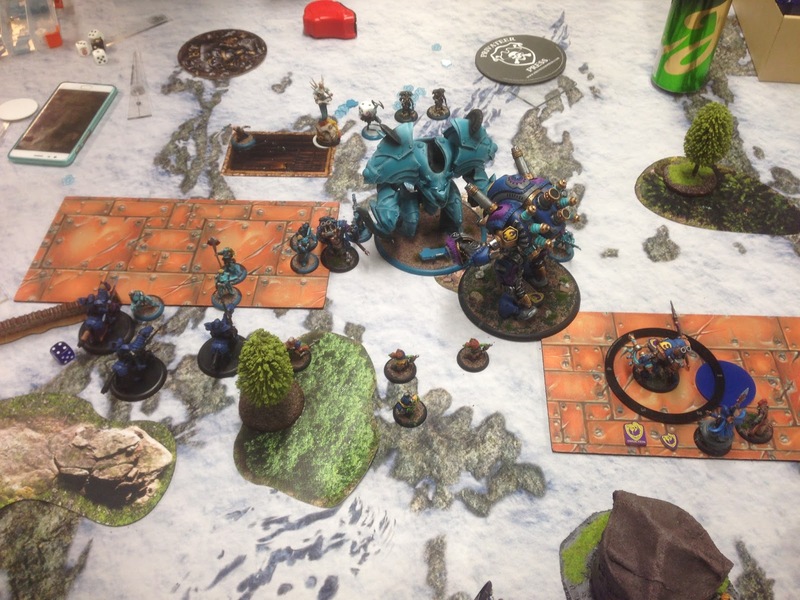 Control is a less straight forward way to play, but Cygnar is really good at it! Major Victoria Haley (Haley2) - Possibly the best control Warcaster in the game with the meanest feat. Thorn - Thorn is an extremely good arc node that allows you to use your spells while staying safe. Squire - Extra focus for your Warcaster. Thank you! Stormblades hit like a truck if you can deliver them. The problem is that delivering them is hard and takes a lot of extra resources. I find that usually it is better to take intrinsically strong models and buff them to make them great, than to take average models and buff them to become strong. We wish you a Happy Nerfbat!